I have learned more about fly casting in 2 hours with Mac Brown than the past 20 years! There is gold in those hills and Mac Brown has the tools to help you find it. I learned more in the past few days than I have in 20 years of fly fishing. Thanks for showing me the light. Testimonials Fly Fishing Guide School from past clients and fly fishing publications. Fly Fishing Guide School is located in the Smoky Mountains town of Bryson City, NC since 1987! Improve your personal skills for raising the bar of your efficiency and catch ratios on the water. You will learn rowing skills, water reading water, fly casting diagnostics, fishing tactics, techniques, and strategies. Many of the past clients claim they learned more in one week at the Fly Fishing Guide School than they have in three decades of being self-taught. This is flattering to hear for sure! We are humbled to be able to share our love of the great outdoors teaching others how to teach new folks interested in angling! Fly fishing instruction often goes by names such as fly fishing classes, fly fishing school, fly fishing lesson and many other names. They all boil down to your personal training with proven techniques that work hence it is all about you the customer! The testimonials Fly Fishing guide School page tells you what other folks have had to say over the past 34 years! The week-long class is tailored to cover everything you will need to increase your journey as an angler! I have set a very high standard over the years as the first licensed guide and outfitter in the region, hence the testimonials reflect this hard work ethic. 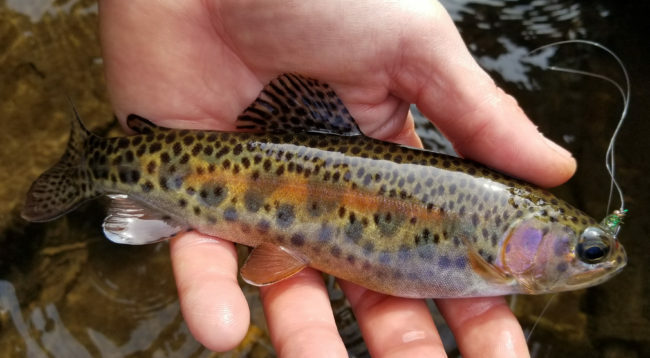 There is a heavy emphasis on fly casting, reading water, rigging, subtle clues in observation, multiple techniques applied to certain water types, hook-sets, and playing fish, hence fun awaits you! I have been blessed to carve out a living working in a field that I love! The original provider of guided fly fishing trips in North Carolina since 1987! We enjoy teaching the full spectrum the sport of fly fishing has to offer you since the art form is always evolving! The intrinsic value of what you come away with learning is the whole reason to enhance your journey! We have assembled the most talented pool of outdoors educators in fly fishing in the Southeastern Region. Testimonials Fly Fishing Guide School is here to provide you with reviews on these top levels professionals.